Dionysus, god of dismemberment and sponsor of the lost or abandoned feminine, originates both Jungian psychology and literature in Remembering Dionysus. Characterized by spontaneity, fluid boundaries, sexuality, embodiment, wild nature, ecstasy and chaos, Dionysus is invoked in the writing of C. G. Jung and James Hillman as the dual necessity to adopt and dismiss literature for their archetypal vision of the psyche or soul. Susan Rowland describes an emerging paradigm for the twenty-first century enacting the myth of a god torn apart to be re-membered, and remembered as reborn in a great renewal of life. 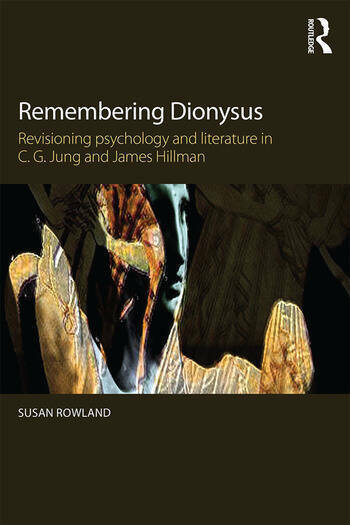 Rowland demonstrates how persons, forms of knowing and even eras that dismiss Dionysus are torn apart, and explores how Jung was Dionysian in providing his most dismembered text, The Red Book. Remembering Dionysus pursues the rough god into the Sublime in the destruction of meaning in Jung and Jacques Lacan, to a re-membering of sublime feminine creativity that offers zoe, or rebirth participating in an archetype of instinctual life. This god demands to be honoured inside our knowing and being, just as he (re)joins us to wild nature. This revealing book will be invigorating reading for Jungian analysts, psychotherapists, arts therapists and counsellors, as well as academics and students of analytical psychology, depth psychology, Jungian and post-Jungian studies, literary studies and ecological humanities. Introduction: Getting Started with C. G. Jung, James Hillman and Literature. The Feminine, Dionysus and Transdisciplinary. Dionysus Ignored or How to Save Jung from The Red Book. Dionysus Remembered or Saving The Red Book from Jung. Dionysus and Magic: The Zoe of ‘Active Imagination’ for/as ‘Close Reading’. Dionysus, Dismembering and the Sublime: ‘Feminine’ Creativity in Destruction in Jung and Lacan. Dionysus Liberated? : Revisioning Psychology (and Literature) with James Hillman. Conclusion: Dionysus Reborn in Psychology and Literature. Susan Rowland is Chair of MA Engaged Humanities at Pacifica Graduate Institute, California and was previously Professor of English and Jungian Studies at the University of Greenwich UK. She is author of Jung: A Feminist Revision (2002), Jung as a Writer (2005) and The Ecocritical Psyche: Literature, Complexity Evolution and Jung (2012). She teaches in Jung, gender and literary theory.